Audible Podcast – Sign up for a FREE 30 day trial and get a FREE audiobook. I’m currently listening to “Deadhouse Gates” by Steven Erikson. I share my last thoughts on getting started with JIRA and what you should think about to get JIRA going within your team or organization. Continuing with our high level series of getting started with JIRA, I will share a few more items for you to think about when implementing JIRA. I’ve shared all other sorts of great info about choosing your operating system and even cloud vs server. I do not believe I shared about the types of JIRA installations. Atlassian provided a WAR and a “Recommended” install files. This type of installation is for experienced users. These types of users are looking for more control in how the application is installed, and patched. They are also looking to use custom or non standard technology to setup JIRA. The WAR file is nothing more than a JAR file containing everything needed for the application. If this option is chosen, the administrator will extract the jar file and its components to the necessary location(s) and will begin to manually configure the application to get it up and running. As of JIRA 7.0 this version of install is no longer provided but if you are reading this in 2015 and are planning to install a version prior to 7.0, then WAR is an available option for you. The recommended option is an EXE or MSI or BIN file that bundles everything needed to run the app. To install, you would execute the file on the server and follow the wizard to choose your installation path, etc. This is the preferred option for those that are wanting to keep their installation and upgrades as simple as possible without adding complexity to their environment. Starting with JIRA 7.0, this will be your only option of installation. The type of database you use with JIRA is another decision you must make. To beat the horse, whatever you go with will be based off your or your DBA team experience, comfortability, and technological direction. JIRA supports Oracle, MySQL, PostgreSQL, and Microsoft SQL Server. What is the recommended version you ask? If you have your ear to the streets, then you will see mentions of PostgreSQL being the top recommended choice, followed by MySQL, Oracle and then SQL Server. Each database engine has its own advantages and disadvantages and you can’t necessarily go wrong if you have an experienced team at the helm. Though, if you are looking at cost savings as an additional factor, PostgreSQL and MySQL will be your top two choices as they are both open source databases. Maybe it isn’t so much of an issue now as opposed to when I first got started 7 years ago, but I still stand by the rule of avoiding IE for use with JIRA or any Atlassian application. Chrome is my personal favorite, followed by Firefox. Though, they can certainly have their fair share of problems, the most issues I encounter are with Internet Explorer. If you are a more modern and tech savvy team and your internal products and highly web driven, then it is likely that your users are using the latest and greatest web browsers. If you are an older, more established business with legacy (non modern web) applications then it is likely that your users still use IE. Maybe even IE6. I am generalizing, but hopefully it has painted a picture for you. Bigger companies are more prone to change and depending on their industry, they could be allergic to change. What you have is then a rampant use of outdated applications that are hooked into IE specific functionality making it difficult to switch. As an Atlassian User Group leader, I’ve spoken with many who’s companies heavily restrict the type of browsers they use or even upgrade and then bring in newer web based applications to use with outdated web portals. Always check Atlassians support platforms for browser support, including any plugins you may purchase, and think about your audience. If your audience uses the latest and greatest, you’re set to go. If your audience uses much older, then learn the in’s and out’s, the recommended settings (no compatibility view) and prepare your audience. I know you have heard of the zombie apocalypse. 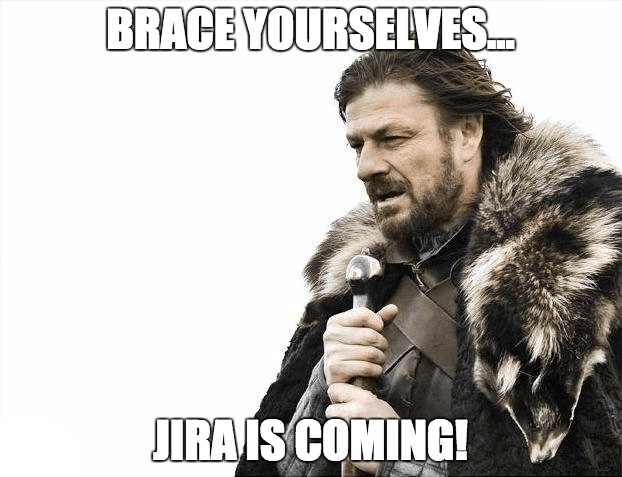 Once you introduce JIRA to your users, you will have a JIRApocalypse. There is no cure. Your users will wonder why they managed their work in spreadsheets and they will start to ask for more plugins. More workflows. More custom fields. More gadgets. You will find yourself implementing JIRA for every business need. You will find that JIRA will spread like wildfire within your team and your business.